with the least stress and the most fun? 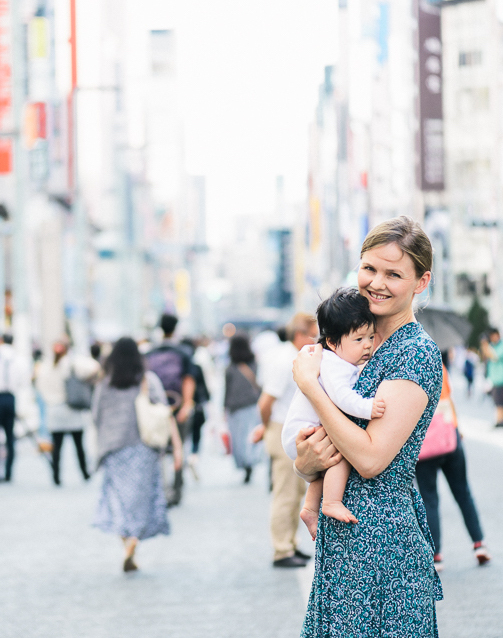 WANT TO ENJOY TOKYO WITH YOUR BABY, WITH THE LEAST STRESS AND THE MOST FUN? Maybe you are planning to visit Tokyo soon for vacation, but are worried about traveling here with your baby. Or you’ve been to Tokyo before, so you kind of know what to expect, but in the back of your mind you are anxious as this will be the first time with an infant in tow. Or maybe you are moving to Japan soon and wondering how on earth you are going to navigate all the train stations and elevators Tokyo, not to mention how to find the baby-friendly cafes, sightseeing spots and playgrounds. A clear, step-by-step plan for navigating Tokyo and locating the baby-friendly sightseeing spots, fashion shops, cafes, nursing rooms, and playgrounds. A plan that will keep your baby happy, so you can enjoy this special time for YOU. The Tokyo Guide can help you make this happen. 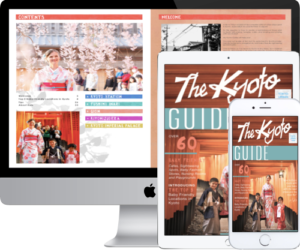 Kyoto Guide has now been launched too in January 2019! Which train stations should I avoid with a stroller? What happens if my baby gets sick? Where can I find an English speaking paediatrician? Where can I buy diapers? Where can I buy baby food? Plus maps of all the locations, and essential baby terms translated into Japanese to make your time in Tokyo a whole lot easier. PLUS new updates for the full package on the members section on my website! Watch the video to the end to see the awesome drone shot of Shinjuku! “The eBook is really thorough, it boosts my confidence just by going through it! 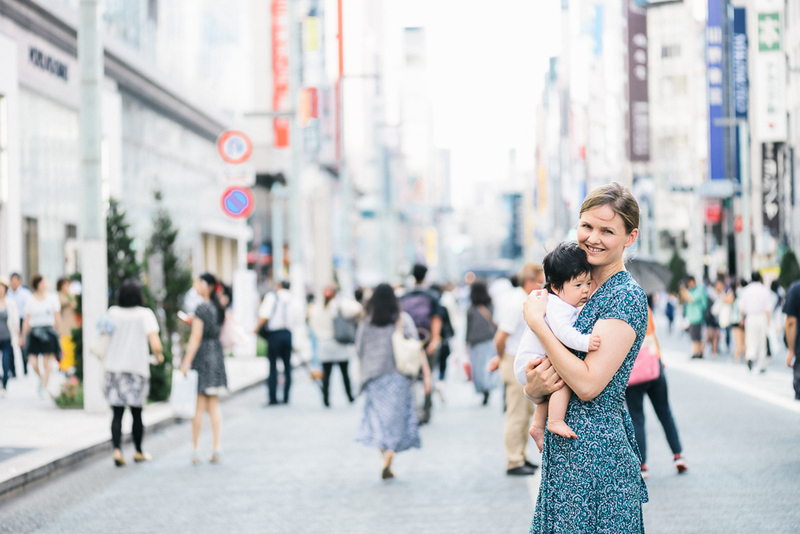 My name is Kate Neath, founder of Tokyo Urban Baby and creator of THE TOKYO GUIDE. My goal is to help you enjoy Tokyo with your baby! I have been living in Japan for over 10 years, and I know how hard it can be to travel here with a baby and find your way around Tokyo. My first outing was a disaster – I was perched on the edge of a stool in Sega Fredo coffee shop in Naka-Meguro, trying to breastfeed my suddenly crying and hungry baby, and then trying to change a pooy nappy on a small bench next to the sink in the cafe toilet! After that experience, I started to research online in Japanese and do exploring around the city, and gradually my list and knowledge of all the hidden baby-friendly places grew. 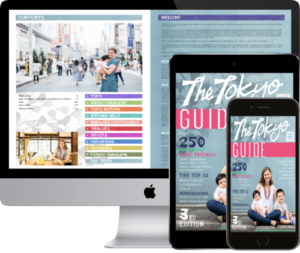 I wanted to share all these finds with other parents in the same situation as me, so I started Tokyo Urban Baby with video tutorials, maps, and photos to make it as easy as possible to find all these wonderful baby-friendly places. As Tokyo Urban Baby grew, I started to receive emails from parents traveling to Tokyo with their baby and asking for advice. It was then that I realised I needed to create a guidebook to organise all my information, tips and advice in one place. This led to the launch of The Tokyo Guide! Tokyo is actually one of the most baby-friendly cities in the world. You just need to know where to go, and how to get there. I hope you love The Tokyo Guide (and my new Kyoto Guide!) as much as I do, and I look forward to meeting you inside the members site!